Avis, the exclusive British Airways car rental partner, has made a permanent increase to the number of Avios points that you can earn from each rental. Previously, the earnings rate was 3 Avios per £1 spent with a minimum of 500 Avios. The minimum earnings rate has now increased to 700 Avios as long as you rent for three days or more. And a special offer …. To launch this new rate, Avis is offering 700 bonus Avios until the end of June. You need to reserve and pick up the car by this date, and book a Group C or higher car for 3 or more days. You would therefore be guaranteed at least 1,400 Avios from your rental. Details of all of these deals can be found at avisba.com or ba.com’s car rental page. Avis is not necessarily the answer ….. It is true that Avis is the only car hire company to partner with British Airways Executive Club. Iberia Plus, on the other hand, has done deals with pretty much everyone. As this full-length post on earning Avios from car rentals shows, Iberia Plus partners with Europcar, Enterprise, Hertz, Sixt and Avis. 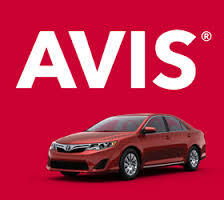 Avis earns 300 Avios per day outside Spain. Europcar, Enterprise and Hertz offer 300+ Avios per day based on car size. Standard rates with Sixt are 150-400 Avios per day with a maximum of four days. Details of all of the Iberia Plus car rental deals can be found on the Iberia website here. Keep a close eye on the Iberia offers. I got triple Avios for a two and a half week US rental with Hertz & ended up with >20,000 Avios! Where did you find the text about the special offer? From what date is it valid? Always find it hard to justify the crediting of rental avios to BA. I did a 25 day rental with europcar and credited it to Iberia – cheapest car imaginable – and got 12,000 avios. That’s good they let you combine them. Hertz make you pick points or FF miles – I’ve tended to go for points given the bonus offers they’ve had on and have been able to stack the subsequent redemptions with the Amex Plat 4h bonus to good effect! You can get triple Avios with Iberia, renting with Hertz. And if you have a Halifax debit card you can get 10% off. Only for selected customers. And others with the offer may have a different rate. True. But my self and the lady have two different accounts and have this offer available. So it’s worth checking. Aaah. Good ‘ol Avis trying again. The Avis linkages have never consistently delivered my rental booking avios, and rarely cough up the 250 Amex bonus avios. Been going on for years. Decent service apart from that though :). Good to note from the above posts that the Iberia car rental deals do seem to track and give the avios expected, this is great news. I’ve rented recently 5 days with Avis and I got 1500 Avios credited to my Iberia account. Have given up trying to get avios to credit on my BA Exec Card. Also unimpressed at attitude of staff insisting on seeing fuel receipt when car was returned full. I find Hertz or Sixt much easier options via Iberia. Are you sure you can earn IB Avios with Enterprise? If so, how? Hmmmm ….. may have stopped, was a line I cut and pasted! Do these track if you rent end of June and return in July? When did it become impossible to move Iberia Plus Avios back to either BAEC or Avios.com? It didn’t but the system is buggy. You may need to try different versions of Combine My Avios on BA and Iberia. Your IB account also needs to be active, ie have earned in the last year. You cannot move Iberia to BA if the BA account is a household account. Soloution is to use Avios.com and select Iberia plus which pulls them through rather than a push transaction from Iberiaplus. Avios = Nothing every easy! Hey Rob, can you point to a link mentioning the 700 bonus Avios? Only seeing the stated 700 on 3+ days booking but nothing about the additional 700 (to make 1,400). Thanks!